March is my birthday month! I know most people celebrate their birthDAY, but I feel like birthdays should be celebrated all month long. Why not? Birthday dinner with girlfriends one night, yes! Birthday breakfast with my coworkers, sounds awesome. A weekend away with my handsome hubby, yes please. Birthday cheesecake at my parents’ house? Yes! See, it’s easy to celebrate your birthday multiple days with the people you love. Life is short, blow out those candles as many times as you can. So the other day I was talking AKA texting with my good friend who also happens to be a March baby, and we were talking about plans we had for our birthdays. She loves going to Disneyland, so she was considering that. I have been wanting to go to the San Diego Zoo so I was thinking about that. Oh, plus, I will be going to watch Cinderella with my mom and sisters for sure! We both thought our plans were hilarious because we are almost thirty, but our birthday plans sound like we are ten years old or something. 🙂 Anyway, I have no shame in my 10 year old game. 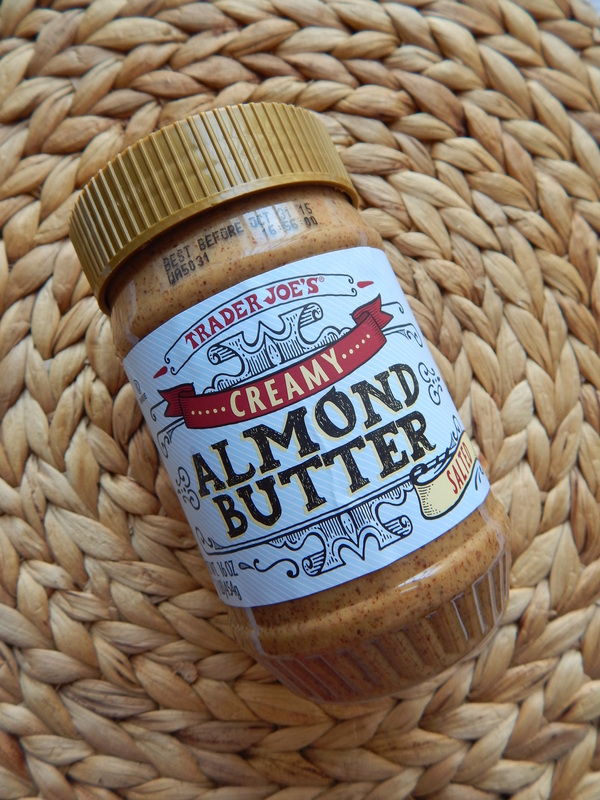 I know it’s nothing new, but I just recently bought my first jar of almond butter so it’s a newer ingredient for me. I’m loving it! I whipped myself up a few varieties of almond butter toast over the last couple of weeks. It’s a really nice and quick breakfast. I used whole grain bread, but you could use your favorite bread. All you have to do is toast your slice of bread and add your toppings. No one says a soon to be 28 year old can’t enjoy some teddy bear toast for breakfast. This is so simple. I love the honey drizzled on top of the almond butter, because the almond butter can be a little dry and I feel it needs the sweetness. This is a perfect breakfast for me served with fruit and a cup of coffee. Toast one slice of bread. I can’t even handle how cute it is. I had been seeing it float around on Pinterest for a long time, so I finally made my own. Kids would love this too! 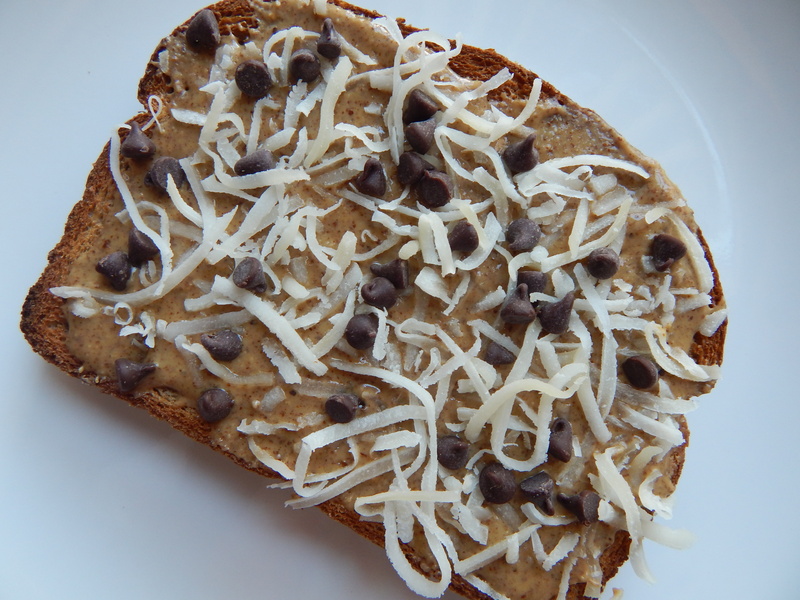 Spread 1-2 tablespoons of almond butter on the slice of toast. Arrange 3 slices of banana on top of the almond butter for the ears and nose. Place 2 raisins above the nose to make the eyes and one raisin on top of the nose. Lastly, I love this one. I just got creative with some of the items I had in my pantry and came up with this sweet treat that reminds me of the Almond Joy candy bar. 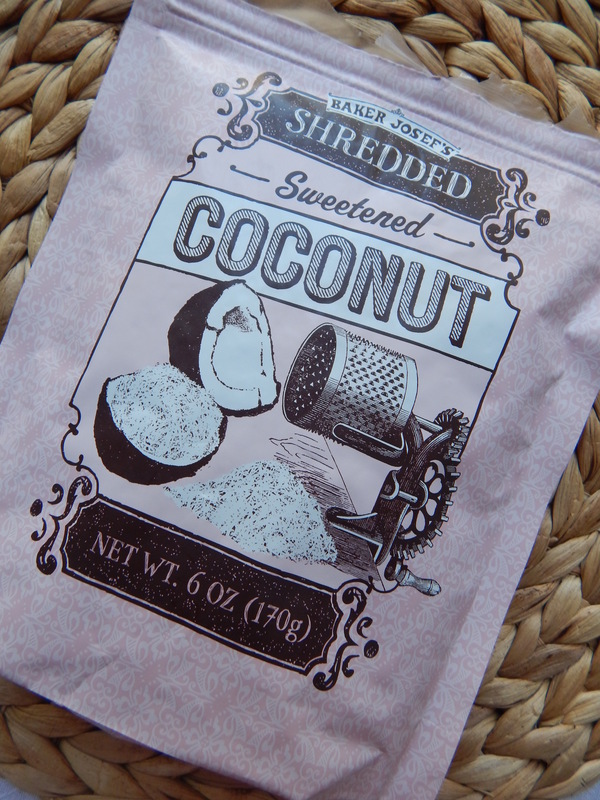 Sprinkle on about 2 tablespoons of dried sweetened shredded coconut and one teaspoon of mini semi sweet chocolate chips. at my favorite grocery store, Trader Joe’s. 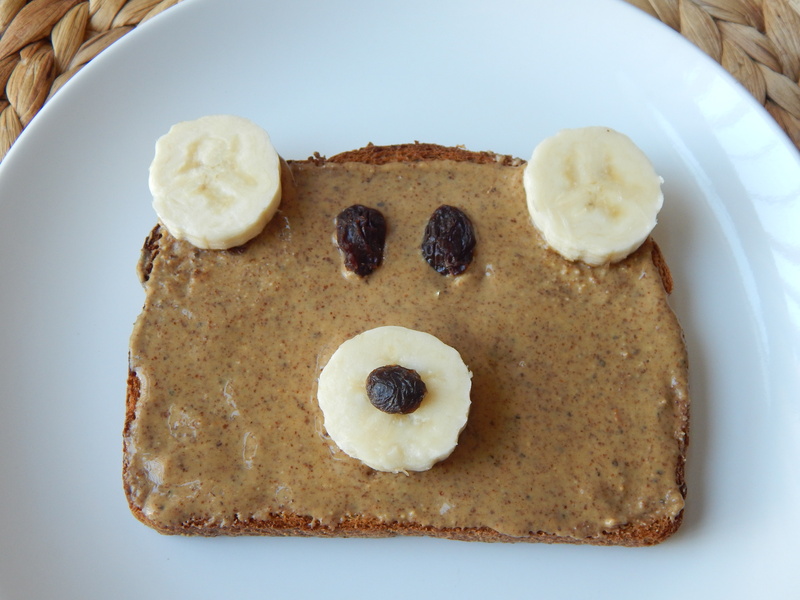 I love all of these, especially the fun factor of the teddy bear toast! Thank you, Brittany. They are very fun! Lol… Is there another way you like to use almond butter? Thank you very much, Bernice!